Holly Madison was stomping grapes at the start of the festival in celebration of the harvest of the Beaujolais Nouveau wines. 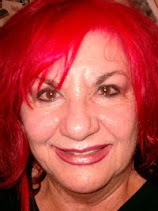 Holly is the former reality star of Girls Next Door and stars in the Las Vegas Peep Show. The event was held at the Paris Hotel on the Ah Sin patio on November 18. 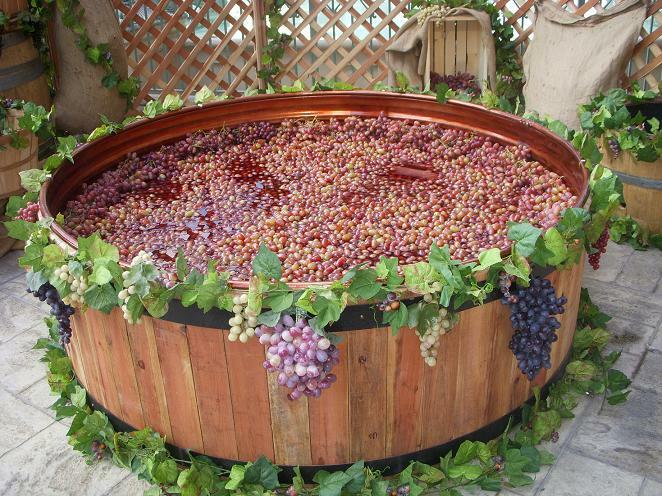 A huge vat, filled with thousands of grapes, was displayed on a harvest themed patio. It looked very inviting to eat and not to stomp ones feet in. At long last, Holly came out and was helped into the vat and she started to dance around. A few minutes later she was joined by a Lucy look a like and they both were dancing and having a lot of fun. It reminded me of Lucille Ball in her show when she was in the wine vat. This didn’t take long to attract a crowd and the passer bys quickly joined to see what was happening. After a few minutes Holly was done with the stomping and she joined the beautiful Paris Show Girls for a taste of the wine. 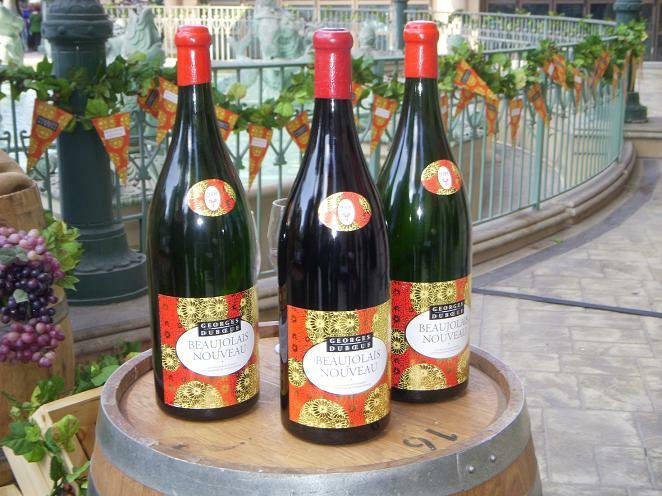 The clock has struck midnight in Paris, France and now over 65 million bottles of Beaujolais Nouveau will be consumed in the months ahead, all over the world. 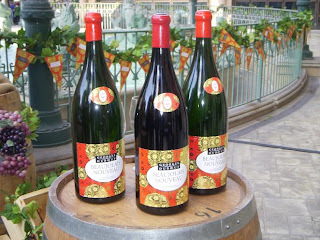 French law states that the wine is not to be released no sooner than the third Thursday in November. 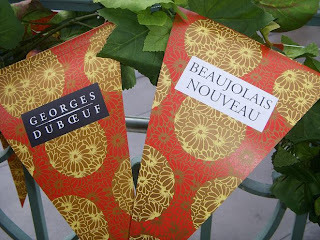 Thursday, Nov 19-Saturday, Nov. 21 from noon to 6 p.m. samples of the wine will be available in the Paris Reception area. Friday, Nov. 20 inside the Risqué will be live music and world wines. Beaujolais Nouveau is made from Gamay grapes and is harvested by hand. This purple pink wine ferments for just a few weeks and dominates by its fruity flavors. George Duboeof, the leading wine merchant of France says it is definitely the best vintage in the last 50 years. I can’t wait until Saturday when I will attend the wine event to swirl and sip and learn about the great wines. 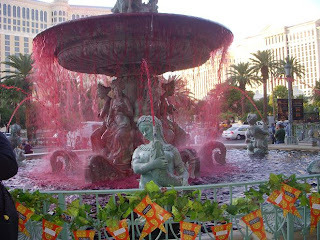 As I was leaving the patio I saw that the water in the fountains had turned to wine and I wondered if anyone would try to taste the water.